A Wooting update post. It’s been a little while since I wrote the last one, and thankfully for all the good reasons. My workload just got too much, and I wasn’t able to gather the peace of mind to write one of these. The good part of it all is, I feel like we made some huge leaps forward with Wooting as a company and we built an awesome fundamental for Analog input keyboards. A lot of the company-side work, unfortunately, isn’t as noticeable compared to releasing new keyboard features, but they’re just as important when it comes to building a long-term business. In this update, we’ll take a look at a couple of these things, and you’re welcome to share your feedback, ask questions or give advice. Furthermore, let’s not forget we completed a successful Wooting two Kickstarter not too long ago and there’s also enough to share about. Though, if you followed the Kickstarter updates you’re likely already up to speed. The Wooting developer portal or Wootdev portal, is a clear example of an advancement that is hard to justify in the current state of affairs and goes mostly unnoticed to the majority of you. That being, we’re still a small company, have limited time-resources and should spend this time into revenue-growing things. But we have to work on it. If we don’t explore these options, create an opening, pioneer in this field, then who will? Definitely not your standard “gaming” company. In the past, we talked a lot about open-sourcing, and internally we repeatedly prepared the Wootility for launching open-source. But we started to realize that going open-source is meaningless and pointless without taking great care and attention. Because nobody will ever create anything for it without the right amount of incentives and promotion. 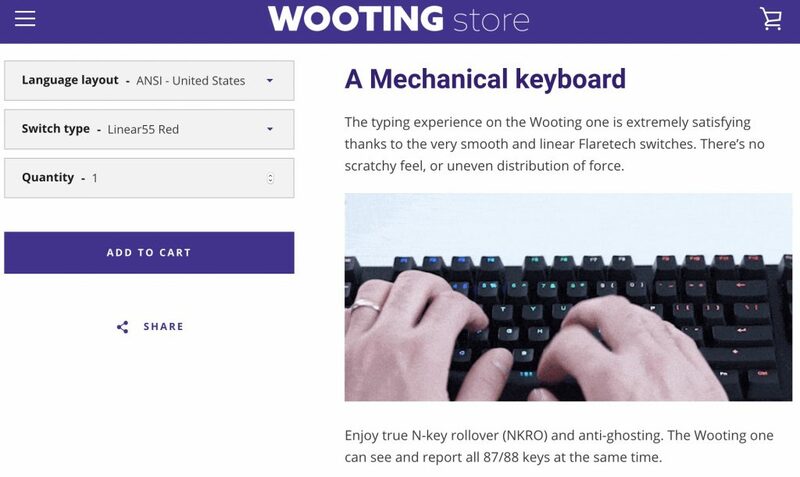 At the same time, we currently 100% rely on our keyboard sales and the additional value the Wootility gives it. And would it really add value to the total product, or would it make it even more difficult for the average user to get started? Digging even deeper, asking the question, if we open-source the Wootility, what is it that people effectively want to change or work on. And can’t we instead spend the same time making those tools available for them instead? Because, in the end, the Wootility is effectively for one company’s devices, Wooting’s, and it’s one of our differentiation and value towards our customers. When it comes to the Wootdev portal, however, it’s a different story. We want, specifically, the Analog SDK to become the standard for analog input keyboards. It has to be the vanilla intermediate, the translator, the link between analog input keyboards and value-added programs or (game) integrations. We don’t want any company to come in and create a “new” standard that buys its way into every software/game and forces a license or royalty fee(s) from the manufacturer(s). That’s only going to slow down development and create an elitarian position for the companies that can afford it. Look at how RGB on keyboards developed over the years for example. Everybody’s software sucked balls to start with, after which they tried to differentiate themselves from others by adding (exclusive) RGB game integrations or device sync. 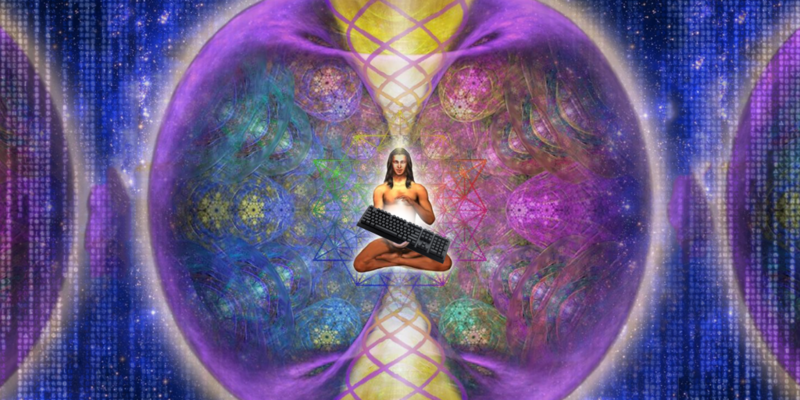 Continuously embedding more and more RGB functionality in their own proprietary software. Only the big guys could afford the software and to create these game integrations. All the smaller to medium companies avoided software altogether or wouldn’t be able to offer any of these advanced RGB integrations. The fact is, most smaller to medium “gaming” companies don’t have in-house software development. They outsource it to a “design-house” company in China/Taiwan, use something off-the-shelve from the manufacturer or completely ignore it. These off-the-shelve solutions result in clunky software, and outsourcing the software development to design-houses result in a very slow response, issues that never get fixed or legacy software. For these companies to improve or change their software, is also an expensive consideration, and not something they’re likely to do after they already sold the keyboards. 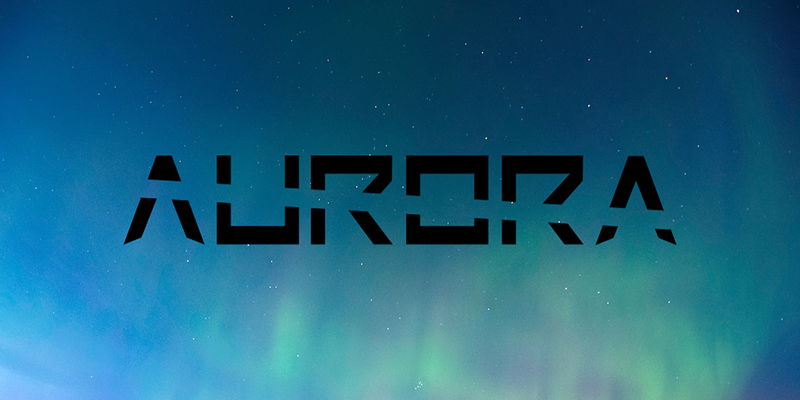 Talking about RGB software, you should check out Project Aurora, an open source utility that unifies RGB lighting devices across different brands, now support Wooting as well. These smaller to medium companies need a door opening, an easier way to enter the market and that is the Wooting Analog SDK. There’s no royalty, there’s no fee, there’s no development necessary anymore, there’s no exclusivity, there’s no specific expertise. They simply need to make their keyboard compatible with the SDK and they’ll have immediate access to all the analog-input value-adding software. This also means, they don’t need to make PC software for configurations, or complicated Xinput tricks to make things work. Because the game/software that supports the SDK, natively support the keyboard and any necessary (if at all) configuration happens inside the application/game itself. BUT, of course, the Wooting analog SDK is pointless if nobody creates integrations with their software, games and/or create value-adding applications. Can you see it? This is why it’s so important that we created the Wootdev portal now. And why we all need to work together to make sure it’s utilized to the fullest extent. It will lower down the entry barrier and create an equal opportunity for any keyboard manufacturer to enter the analog-input era. Which in turn will stimulate analog-input based applications and value adding features. After all, we want to make Analog input keyboards the industry standard. Alright, I didn’t expect to write all of the above, but it looks like I have dearly missed writing one of these updates. haha. Let’s jump into some specifics. We have updated the analog input library to be included inside the Wootility instead of the game. This means the library is updated on the client-side and for now it’s necessary to download the Wootility to make it work for now. We made this decision to avoid additional hassle on the game developer side, and make the starting phase more smooth and easier for the more frequent changes. Jeroen made something really beautiful that in the last conversation went a bit over my head. If you have read the WootDev News introduction, you will understand that we’re looking for different ways to create incentives for people to create value-adding programs to the Analog SDK. That’s why we will host a contest for developers to create something cool. Tino will start organizing and host this event in the near future. Details will be released at the time but exclusive rewards for the best creations are included. Thanks to the Wooting two Kickstarter, we had decided to move a project we had in mind for some time forward. Moving to a new webstore platform. We felt that the old platform (Lightspeed) was limiting our capabilities and didn’t fit all our needs. Though their pricing and compatibility with European regulations and working methods were great, it was just too far behind on modern ecommerce practices. Since a month ago we 100% moved both the North America and Europe/International store to Shopify and started to use our new .store domain. Until so far, very pleasant experience, it wasn’t perfect of course, but for what I could expect, it was a vast improvement. You might had also noticed that we transferred all the Kickstarter orders to the official stores by sending out a confirmation order to all the backers. A great system built by Jeroen with a couple of days using Shopify’s API options. There’s a lot more planned for the Wooting official store. I hope in the future it can be a place where you can purchase everything Wooting related, with or without our brand on it. As long as it can add value to our total experience. Including, Wooting merchandise! We’re using a third party company named Printfull to make the merchandise per order. That prevents us from having any stock, allows rapid fresh/new designs, fulfillment/storage cost and saves us a bunch of time. We’ve used the service a couple of times in the past as well, including that Wooting cap from Erik. Quality, service, and shipping all top notch. Considering the wall of text above, I recommend checking out the latest Kickstarter update. The update mainly concerns the Wooting two packaging. We had to choose between 2 color variations of the packaging and left it to the backers to decide which one to go with. To follow this up, the poll concluded Black & White as the winner. Since that update, we’re still awaiting the Tooling. Once we get the first sample, afterwards, things are going to go very… very fast! The Wooting one is the one. It’s not a legacy product, by far! There was a big pause in the feature and design department for the Wootility/firmware, in favor of the Wooting two, WootDev portal, the new store and improving our quality assurance software for production. Now the focus is slowly shifting to the Wootility including the advanced DKS, programmability and profile management. When we talked about these features, I realized, woah, we need to overhaul some of the UI/UX to make this work very well. Simply “adding” the features to the existing design will start to make the software clunky. And…. I’m super excited about it! A new, fresh take on the Wootility. Retain all of its best design/features, throw away the rest, and build a new fundamental for the upcoming features. And as we start introducing the new features the design will scale with its increasing complexity and it will feel as a natural transition to you. I can’t wait to share more about this once we’ve figured it all out including an updated roadmap. Did you read it all :o? That’s it for now. It was very refreshing to write one of these updates again, no idea who actually reads them, but I personally really get excited by it and my passion for al this just starts to light up. Thank you guys so much for believing in us, and giving Wooting the opportunity to exist and build something truly awesome.